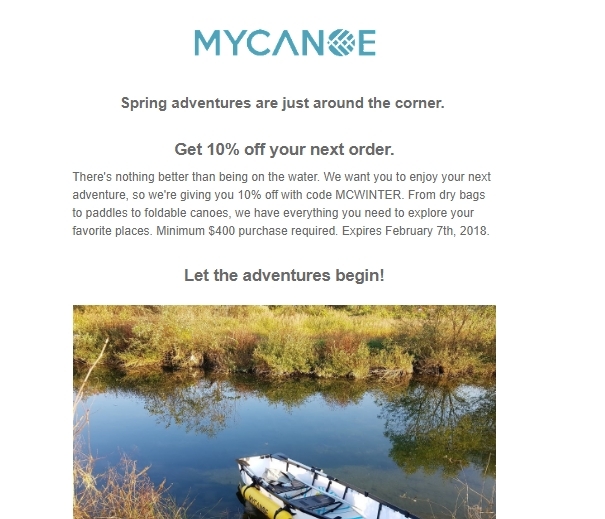 Jusepe Tabera Enter the promo code during the checkout process to receive 10% off all orders $400 or More at Mycanoe. There may be some exclusions that apply to this deal. 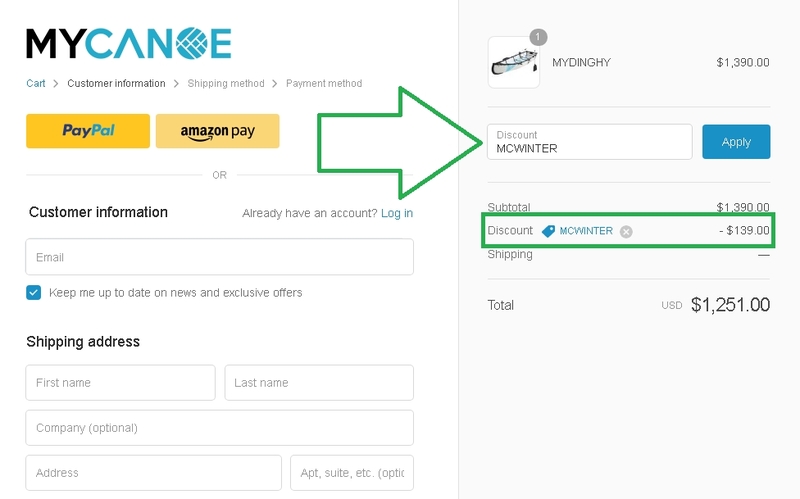 Amber Enter code at checkout. This is a limited time offer. Certain offers cannot be combined with other offers, discounts, or deals.